In text, photographs, and video, here’s a selection of stories and moments from the 2015 college year, a very good year, at Bates. Bates headed into the NCAA Championships ranked No. 1 in the land, and after a number of runner-up finishes at the national regatta, the pressure was on. 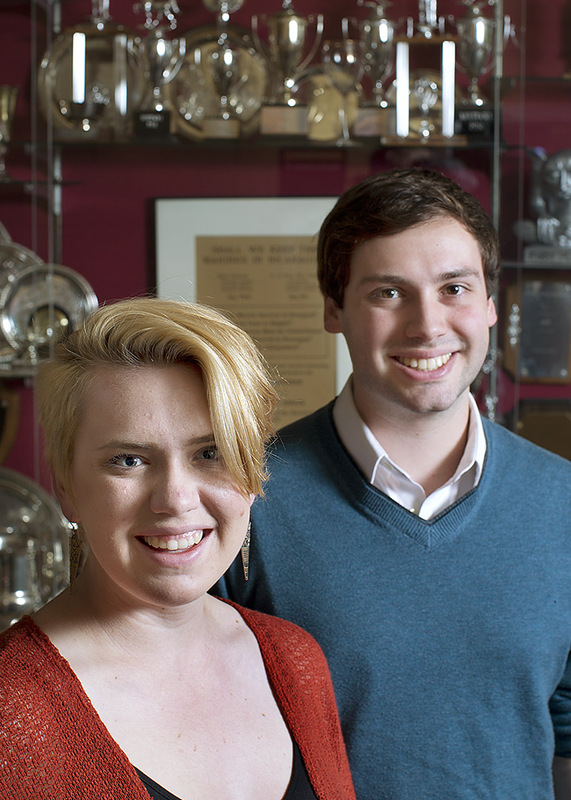 Already celebrated as a perennial top producer of Fulbright U.S. Student fellowships, Bates seniors and young alumni collected 19 new grants this year — a record for the college. Fourteen current seniors and five graduates won the 19 prestigious awards for teaching and research abroad in 2015-16. More students than ever — 5,636 — sought admission to Bates for the Class of 2019 entering this fall. The record application pool, a 12 percent increase from last year and a 15 percent increase since 2012, also reflects strategic Bates Admission recruiting efforts as U.S. population demographics shifts steadily west and south. In fact, in terms of applications, the state of California is now the college’s third-largest producer. And in terms of students in the incoming Class of 2019, California ranks fifth behind Massachusetts, New York, Maine, and Connecticut. 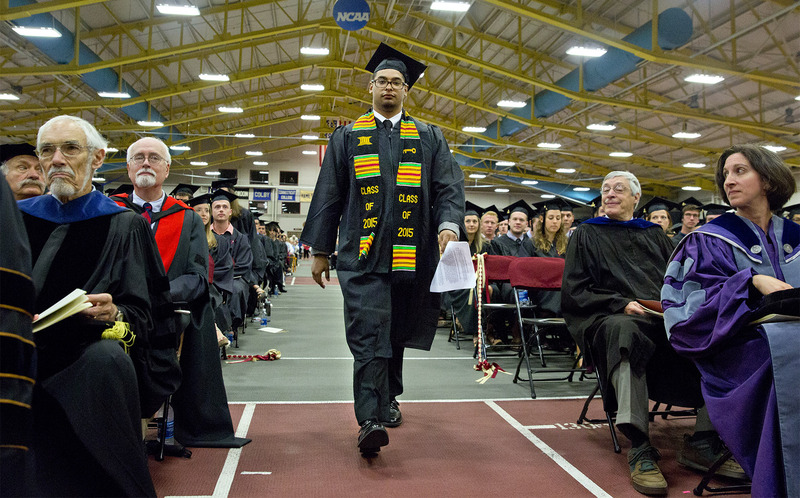 This year’s Senior Address at Commencement was a love letter to Bates. 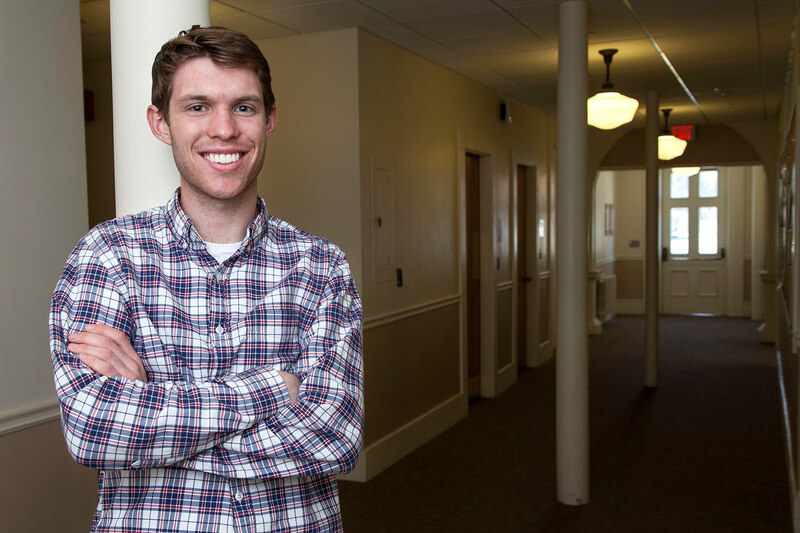 But for Alex Bolden ’15, Bates was not love at first sight. 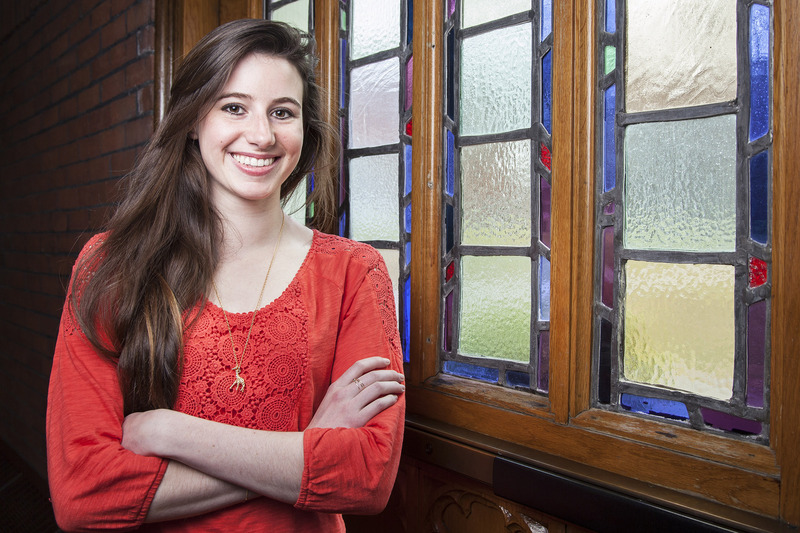 “I did not come to Bates after being intrigued by the beautiful campus…. I came to Bates because it made financial sense despite my desire for a large university in a big city,” said Bolden, of Cleveland, Ohio. And while, much like my experience at Bates, the loving of a community that is different from you might be hard at first, submerging yourself in their culture will provide you with moments, big and small, which over time will make you fall in love, which is the only weapon we have against injustice. 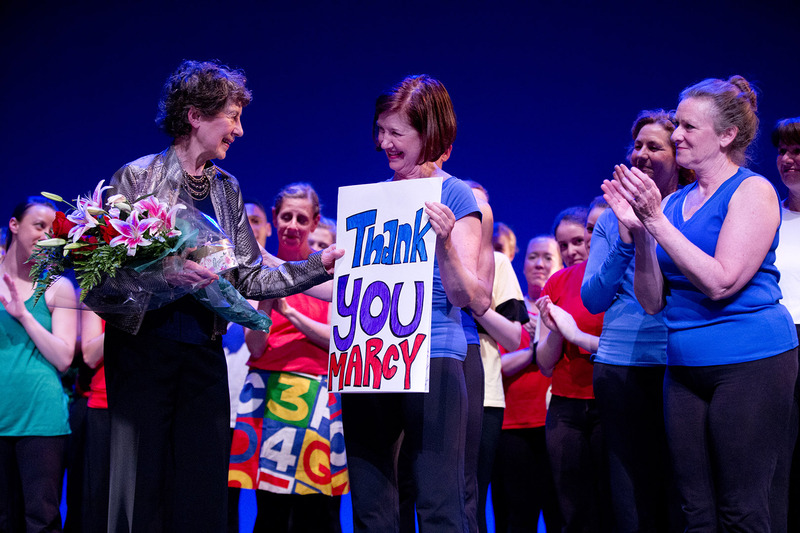 In Bates circles, Marcy Plavin is celebrated not just for the dance program she established, but for doing so with a warmth and inclusiveness that made her a legend among her students. On May 2, dozens of those students returned to Bates to perform in a reunion concert and pay tribute to their remarkable teacher and friend. The reunion was a testament to what Plavin created, a strong and inclusive dance community, said Carol Dilley, associate professor of dance and Plavin’s successor as dance program director. By June 30, donors had given more than $21 million in gifts to the college, a 31 percent increase over fiscal 2014. One of the bellwethers for the robust giving year was March 31, when Bates received a one-day record 1,675 gifts. The outpouring occurred on the last day of the month-long Great Day to be a Bobcat giving campaign, and the surge brought the 31-day total to 3,917 gifts. 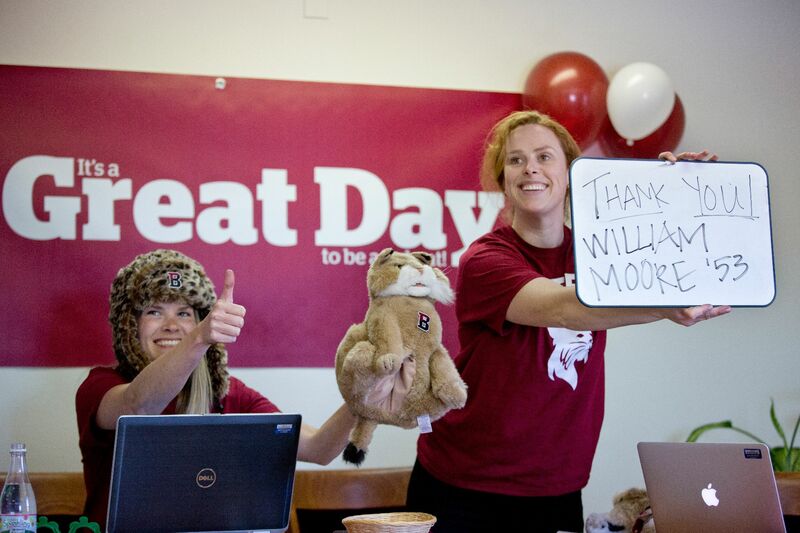 By beating the goal of 2,500 gifts in March, Bates collected a $250,000 challenge gift from an anonymous donor. 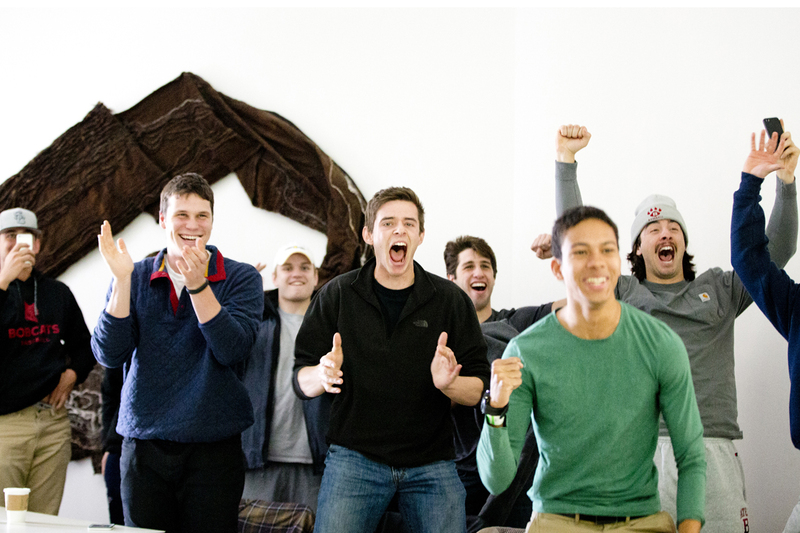 Throughout March 31, a campus livestream featured real-time thank-yous to donors, and more than 2,100 viewers tuned in from around the world including cities like Helsinki, Brisbane, Munich, Sao Paul, Beijing, New Delhi, and Hanoi, among many others. Bates and the NCAA became fast friends in 2014-15, as a record number of Bobcats competed in national championships this year. 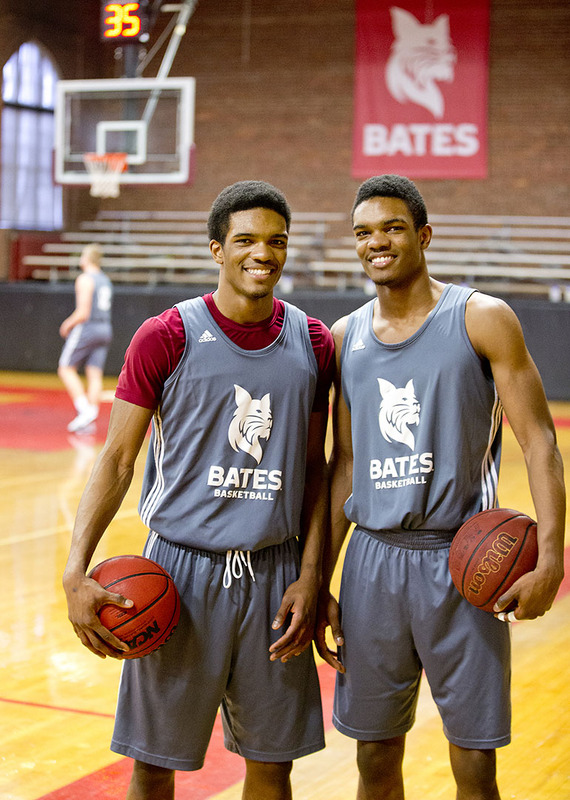 All told, 111 Bates men and women went to the NCAAs in basketball, cross country, lacrosse, rowing, skiing, swimming, tennis, and track and field. Here are two, basketball players Marcus Delpeche ’17 (left) and Malcolm Delpeche ’17, identical twin brothers from Wilmington, Del. With the most wins in program history (21), men’s hoops advanced to the Sweet Sixteen of the NCAA Division III tournament. Going strong since 1927, the college’s honors program saw 36 seniors conduct yearlong honors theses in 2015. Not so long ago, you’d have to personally visit Muskie Archives and Special Collections Library to read a Bates honors thesis. Now, to promote greater access by the Bates community and the world beyond Bates, honors theses are available online. 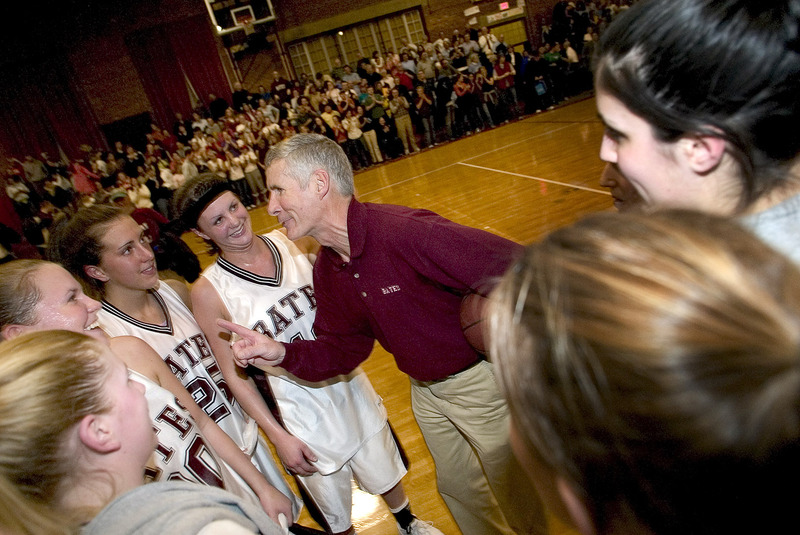 As a coach, Jim Murphy ’69 brought a simple, hard-boiled ethos into his coaching philosophy, and his players were known for their mental toughness. Murphy retired on June 30 after 21 seasons, 343 victories and six NCAA appearances. “The things in life that are earned are to be cherished and treasured and are much more valuable than something that’s given to you,” he said. In his lecture on March 18 to celebrate the Kroepsch Award, Dauge-Roth analyzed that question, specifically as it pertains to his decade of engaging Bates students with survivors and their stories of the 1994 genocide against the Tutsi in Rwanda. That means moving beyond pity and compassion, “since these are just part of the strategy for maintaining the status quo.” Second, it means incorporating into one’s own histories the history of pain that is encountered. Third, it means that listeners “see themselves as indirect witnesses, whose responsibility is to develop a critical self-awareness regarding their own agency and inadequacy as they respond to survivors’ stories.” That means “learning with the survivors” — not merely from” them. At noon on Dec. 2, more than 50 Bates students put their outrage about the outcome of the Michael Brown case in Ferguson, Mo., in a place where it could not be overlooked: Commons at the height of lunch hour. 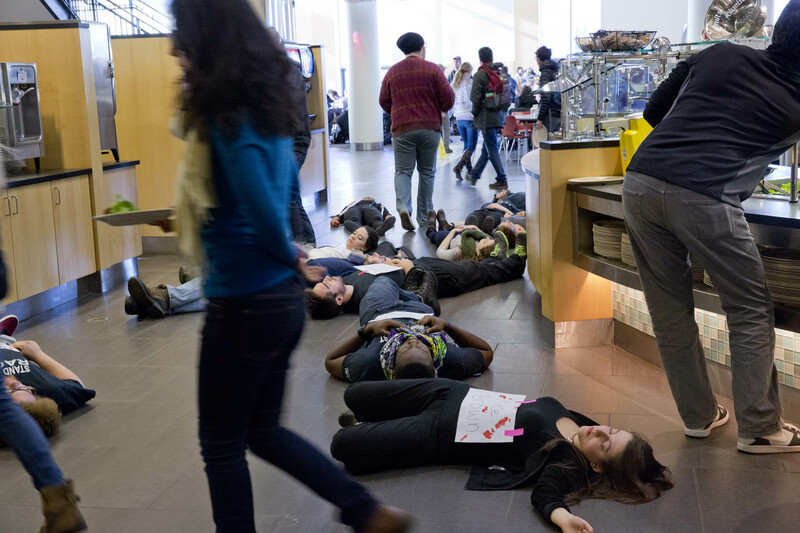 The protesters lay silent and motionless on the hard Commons floor as their fellow students stepped around and over them in pursuit of a hot meal. 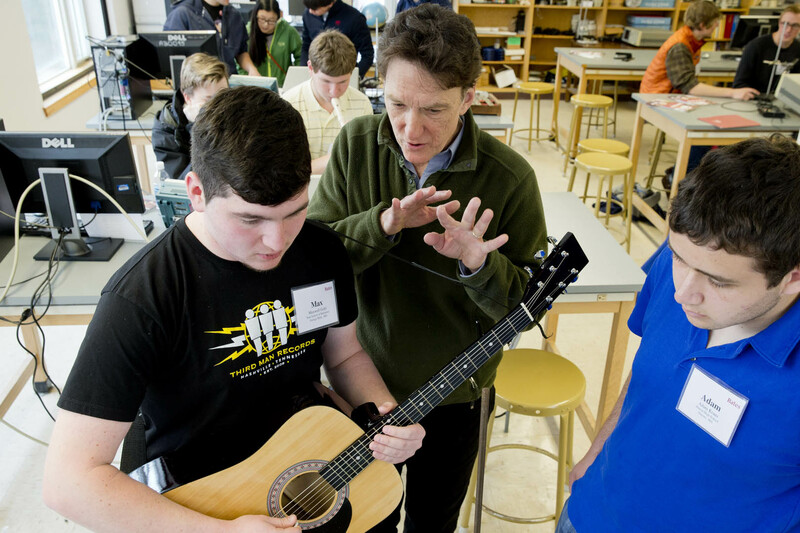 A new breed of Short Term teachers, these successful young adults — most of them Bates alumni — come to campus to share the skills and applied knowledge they’ve accrued during their careers. 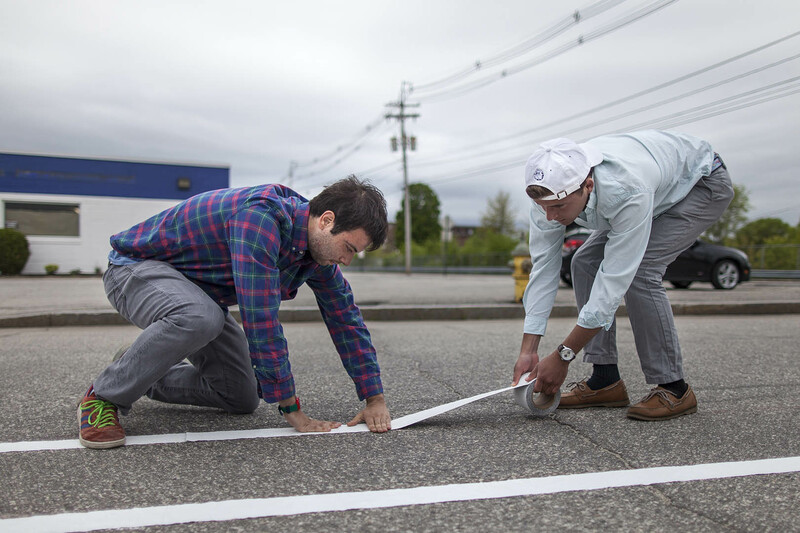 Lydon’s course was the “Practicum in Urban Planning,” and he guided his students on several projects, including the creation of a demonstration bike lane on a Lewiston side street that the students publicly presented on May 21 — to participants in a statewide urban development conference, no less. Abdel Khalek fought back from a 2-0 deficit to defeat Columbia University freshman Osama Khalifa 3-2 to capture the College Squash Association men’s individual championship, the first for Bates. At the World Universities Debating Championship in early January, Taylor Blackburn ’15 solidified her status as arguably the best female debater in North America. Meanwhile, in April, Matt Summers ’15 of Short Hills, N.J., was named top speaker at the annual U.S. Universities Debating Championship, held at the University of Alaska Anchorage. At Worlds, Blackburn, of Sonoma, Calif., emerged as the top-ranked female speaker of all North American debaters, and 41st overall of the tournament’s 742 speakers. As a team at Worlds, this year held Dec. 27 to Jan. 4 at the Universiti Teknologi MARA in Malaysia, Blackburn and Summers finished in a tie for 30th out of 371 teams, the best Bates finish ever. All agreed: There’s been nothing like it in Garcelon Field’s 116-year history. May 6: the first playoff game on Garcelon, and an NCAA playoff game (in men’s lacrosse) to boot. At night. During Short Term. When it’s balmy (72 degrees!) and clear. Bates rolled out the green carpet that night, and the show didn’t disappoint. 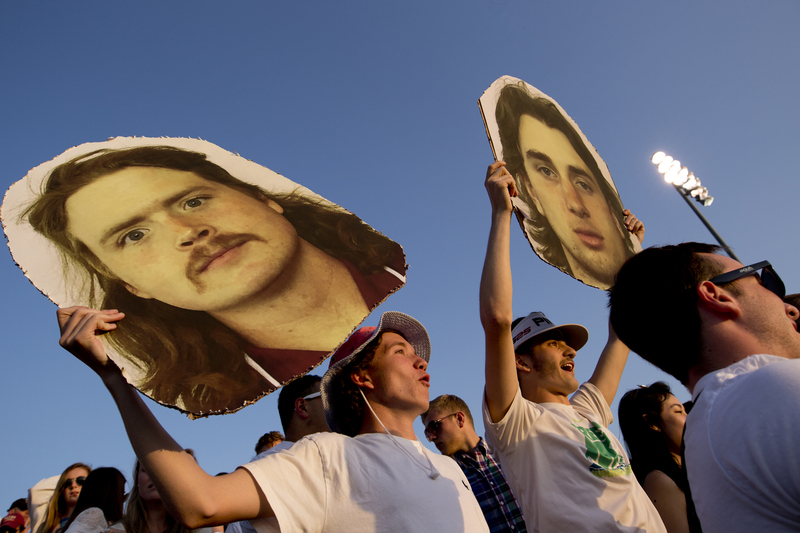 With the packed Garcelon grandstand rocking and teams trading hard knocks on the field down below, the first-round NCAA men’s lacrosse playoff game between Bates and Keene State wasn’t decided until late in the second half when Bates pulled away for a 16-11 victory. JP Maheu, Twitter’s head of global branding and agency strategy, and George Gallate, CEO of the international marketing firm RKG, got one of the biggest laughs of the year as they traded stories and gave advice about careers and work during their Purposeful Work Unplugged session on Jan 29. 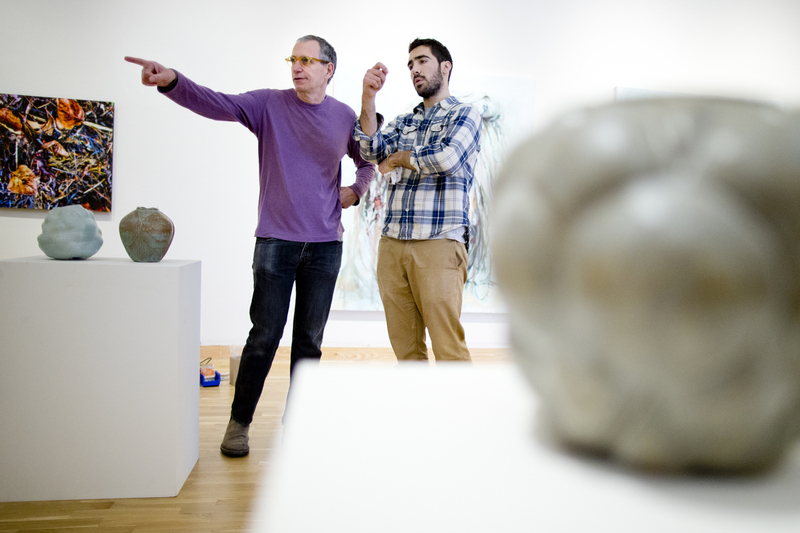 The speaker series is one program of Purposeful Work, an institution-wide initiative built on the premise that preparing students for lives of meaningful work is central to the liberal arts mission. In a day filled with talks and discussion about the MLK Day theme, “From Selma to Ferguson: 50 Years of Nonviolent Dissent,” one set of panelists answered questions about the Michael Brown case and related issues of race, social justice, and equity. 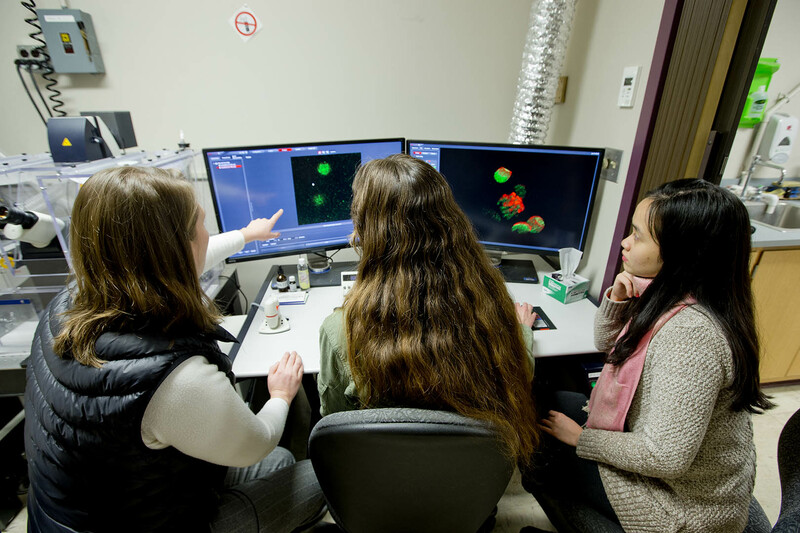 Larissa Williams, an assistant professor of biology, says that in terms of Bates’ teaching capacity, the college’s powerful new confocal microscope is a game-changer. “It’s incredibly important that students have access to this state-of-the-art technology,” she says. Called a “confocal” microscope because of the optical technology it employs, the new Leica SP8 is a versatile, user-friendly device that gives Bates a variety of important new or improved imaging capabilities. Two grants totaling more than $1.4 million will advance faculty diversity, both on Bates’ own campus and as part of a collaborative effort with other institutions. The two grants are from the Andrew W. Mellon Foundation. 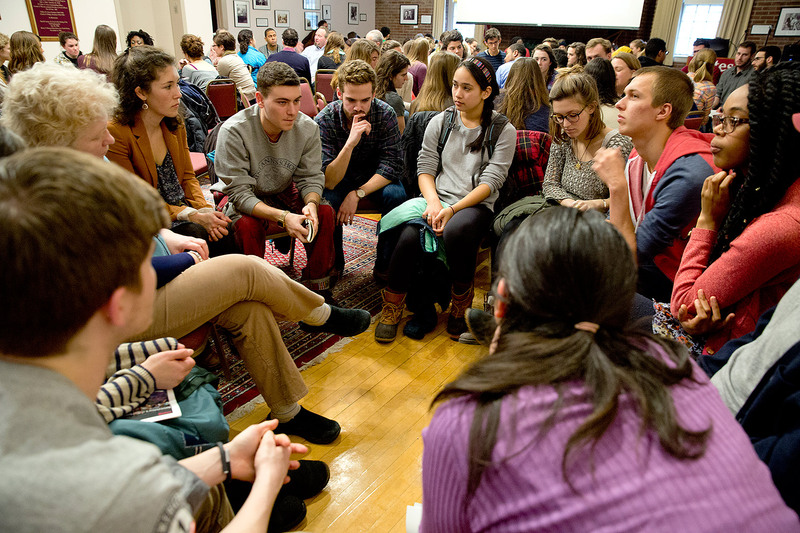 One grant, worth $1 million, will bring promising faculty candidates from underrepresented groups onto the tenure track at Bates over the the next five years, as well as build the college’s long-term capacity for recruiting superior faculty from all walks of life. An additional grant of $419,360 comes as Bates takes on a leadership position in the Creating Connections Consortium, a national partnership and initiative designed to advance faculty diversity. 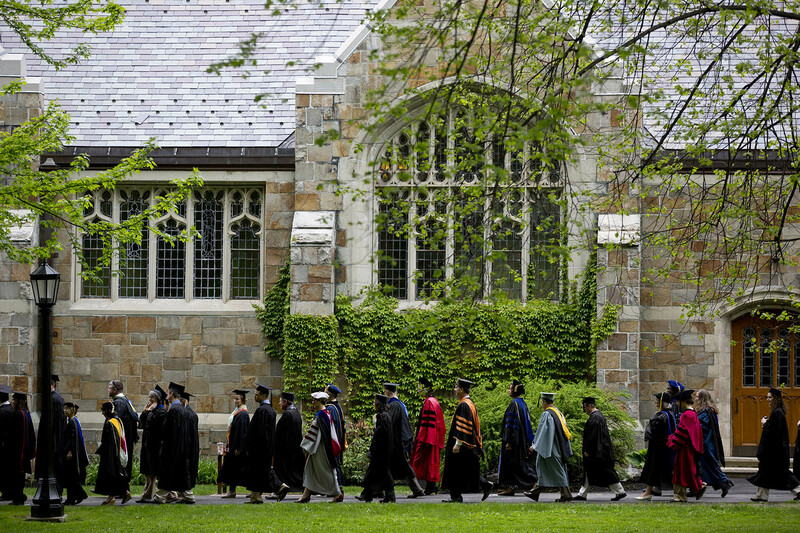 Bates is the fourth liberal arts college, and sixth lead institution overall, in the consortium, joining Connecticut, Middlebury and Williams colleges and two research institutions, the University of California at Berkeley and Columbia University. After months of sitework and below-ground work, two steel skeletons began to take shape in April as construction of two new Bates residence halls moved forward rapidly after a tough winter. On June 19, the college hosted a topping off party to celebrate and symbolize the end of the steelwork. The ceremony included putting into place a beam with signatures of members of the Bates community, a spruce tree, a Bates banner, and an American flag. 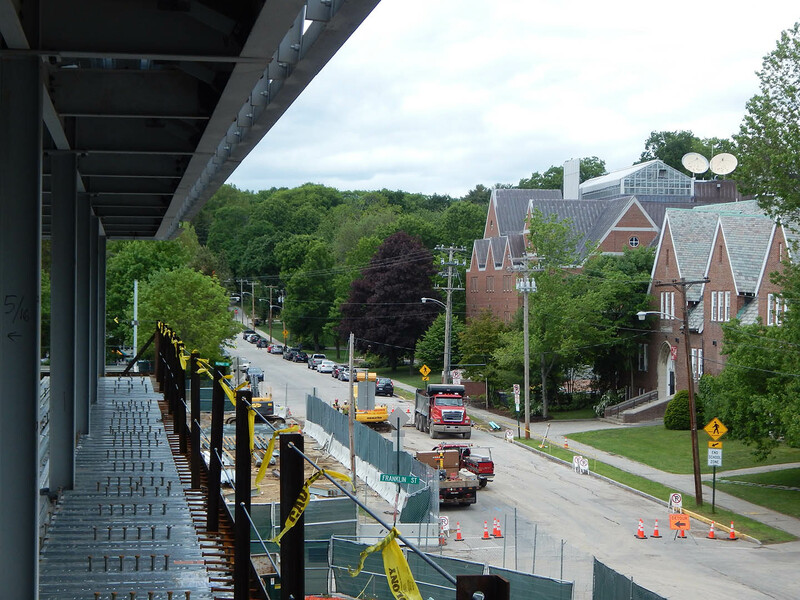 Here’s the view that students will have, by fall 2016, from the third floor of the new residence hall at 65 Campus Avenue, across from Chase Hall and the Muskie Archives and Special Collections Library. 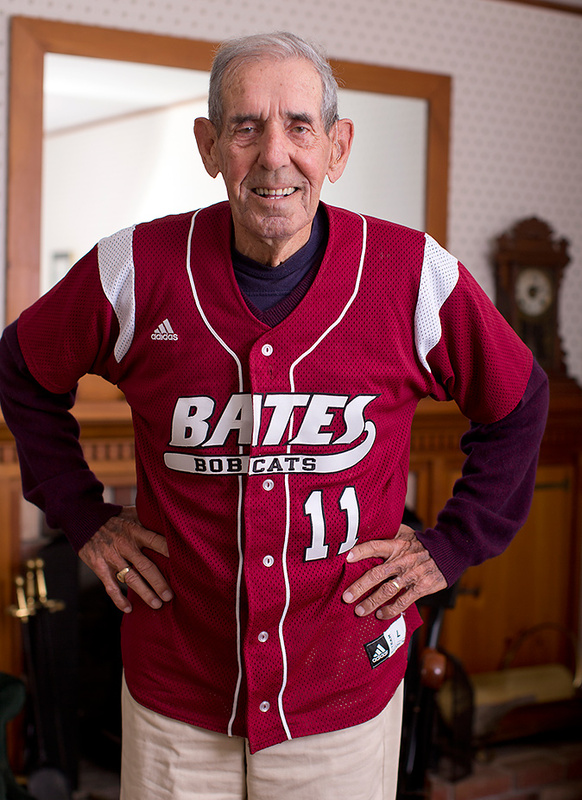 Bates retires Chick Leahey’s No. 11 baseball jersey. William Leahey ’52, known as “Chick,” wore No. 11 during his 36 years as head baseball coach, during which time his teams won 300 games. His number was retired during a Homecoming ceremony on Oct. 25. Artwork by 11 studio art majors in this year’s Senior Thesis Exhibition offered “evidence of studio students’ interests across several majors,” said Robert Feintuch, an internationally esteemed painter and a senior lecturer in art and visual culture who works with the students during the winter semester.